Amongst the top 5 serious violations reported in the U.S, 3 are related to work at height – scenarios where access through ladders or temporary structures might be required. 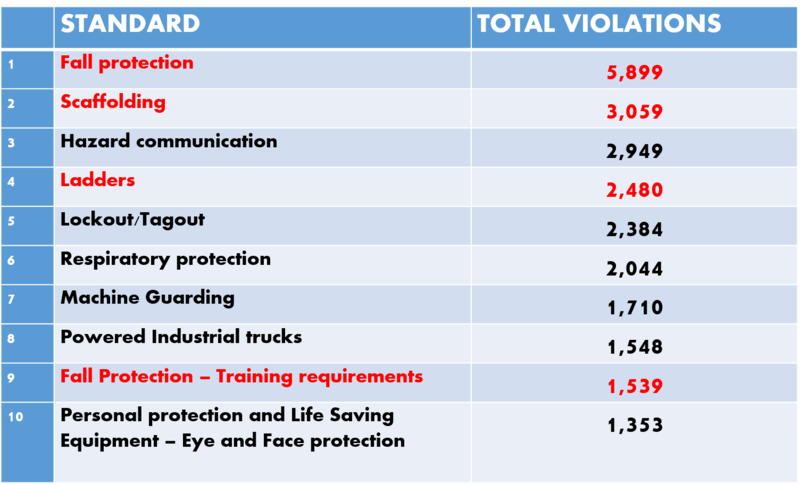 These accounted for a majority of 52% serious violations reported while fall protection also led the charts under willful violations, which stretches the serious nature of such issues. Scaling these numbers from an Indian safety context, it would be safe to estimate that these figures will swell up by at least 2-3 times. Addition of willful violations (by definition) would actually pump up these already serious safety violation numbers to the tune of 5 times. Indian safety context has traits of negligence and careless attitudes attached within an unenforced safety framework. Safe scaffolds that confirm to standards and are certified for quality via inspections and audits still remain a major challenge, if we refer to the premise we have created till now. Work at height is a major contributor to serious accidents and incidents that occur at any workplaces all around the world. And we can linkup the necessity of safety attributed via building of safe scaffolds that mitigate majority of the hazards that have been tallied previously. Work at height whether in building and construction works or repair jobs require reliable temporary structures that have a safety system in place. 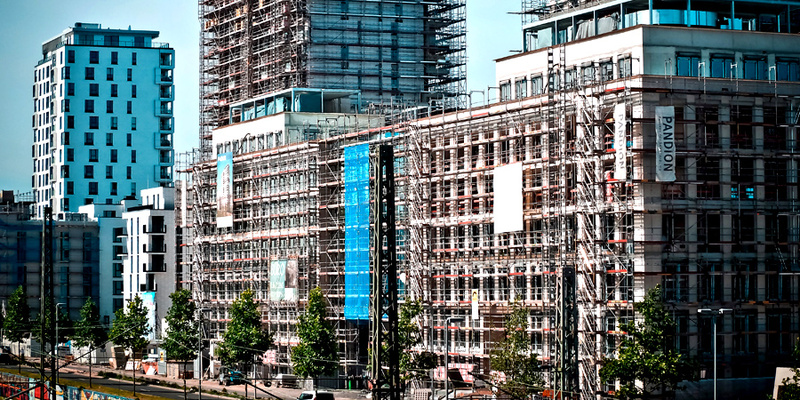 A system that can be vetted by competent scaffolding personnel such as Scaffold design engineer, competent Inspector or Supervisor and verified post-erection by them, alike. 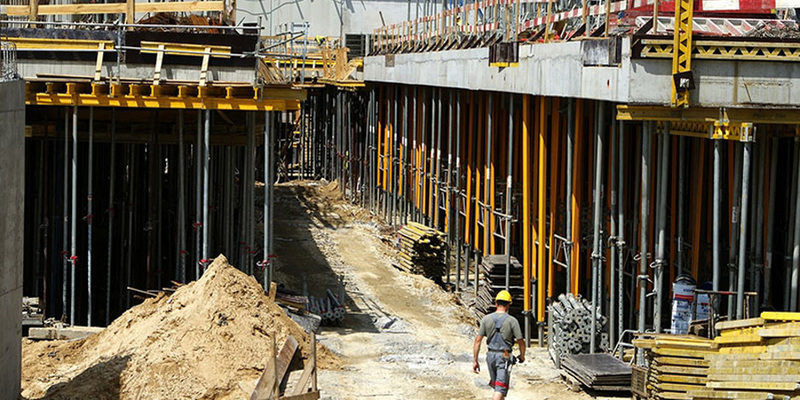 Safe scaffolds with quality components and in the hands of trained and certified scaffolders, offers this potential right into the grasp of contractors or organizations. 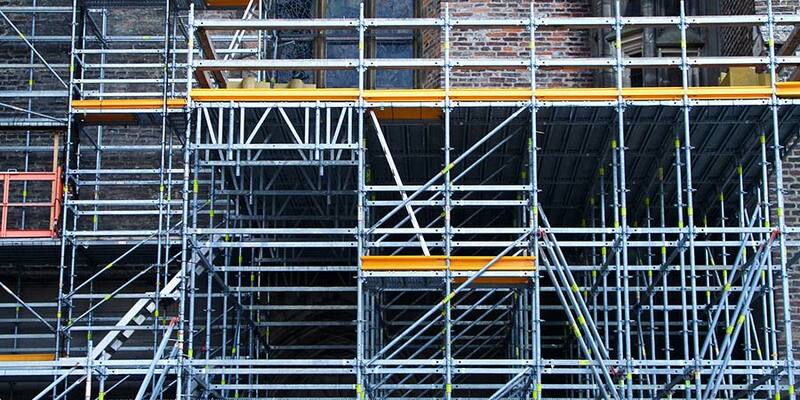 Software based scaffolding management system offers a lot of potential in this context. They can provide the safe working platforms which essentially enable a worker or engineers to execute their tasks. Since these are high up in sky or sometimes even suspended or cantilever from the roofs, a work crew seeks confidence in safety. Safe scaffolds generate this exact confidence by providing reliable, safe and stable working platforms, their base of operations in work at height jobs. Safe scaffolding systems integrate safety within its design, build and operations through a world class quality management programme. It starts right from the certified scaffold trainings for concerned personnel, who are involved in erection, dismantling and any such associated works. To ensure the safe scaffold execution, a proper scaffolding management system shall be formulated and implemented seriously. There are three main factors which ensure safe execution of scaffold; standard and sufficient materials (scaffolding components), competent and certified manpower, and a strong scaffolding management system in place, which includes inspection of materials, screening the competent manpower, inspection and certification of scaffold after erection and before dismantling of scaffolding etc. This system of providing safe scaffolds is further fortified via regular inspection and on-site audits, that can anticipate, identify and mitigate fall and work at height related risks and hazards, effectively. Safe scaffolds aren’t just about helping deliver the work in a safe manner. They can also expedite the overall work efficiency in two ways. Firstly, better and reliable working platforms at height means that the work crew has confidence in executing their tasks with the cushion of proactive safety at their side. Secondly, this promotes efficiency and faster turnaround times by the work crews. The bits and pieces from each work at height task fall right back where they are supposed to be or get redeployed to give rise to another safe working platform. Training related to safe scaffolding system is the knowledge tool that can drive the message within the work crews and make them more and more competent to do such work. The importance of using safe scaffolds and following the protocols when it comes to work at height must be defined in the planning and management procedure/documents, so it should be the part of the actual work and that they shouldn’t be felt as the additional burden on cost of the project and work planned. Such a vitally devised scaffolding management system which enable to provide safe working platform, which means this can control majorities of accidents related to work at height and that means 75-80 % of accidents can be minimized in all types of industries. Although it may seem like a challenge to adapt such a system in effective way, but it’s just a matter of planning not the cost. So, choosing the right partner/contractor in scaffolding and safety can ease such challenges and make work at height operations, safer. Note: This article was first published in the 13th issue of EHS magazine B-Proactive and has been adapted for the purposes of wider reading on ASK-EHS blog.